The combined form of Goku and Vegeta via the Fusion Dance is here! 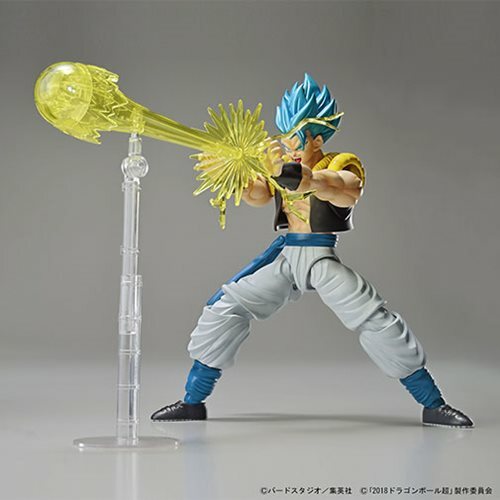 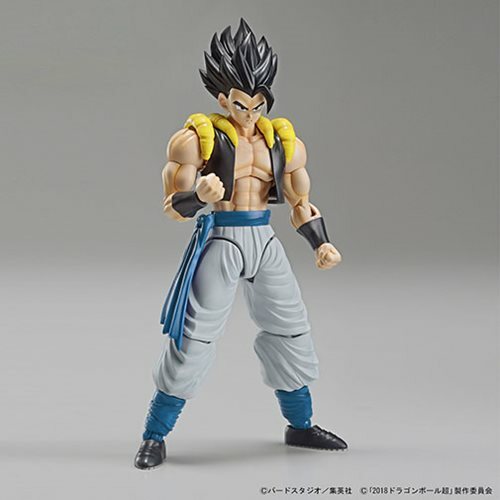 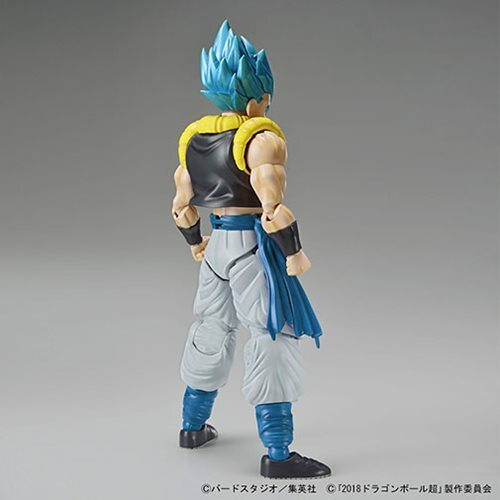 Gogeta utilizes the Figure-rise Standard the Muscle Build Up-System which overlays different layers of plastic to create an articulated near seamless appearance of the human body. 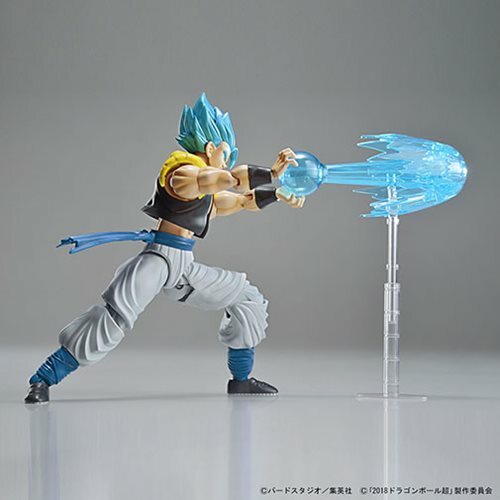 This allows Gogeta to pull all off all sorts of fighting poses to recreate iconic scenes and also includes effect parts for Kamehemeha, Final Flash, and other energy attacks. 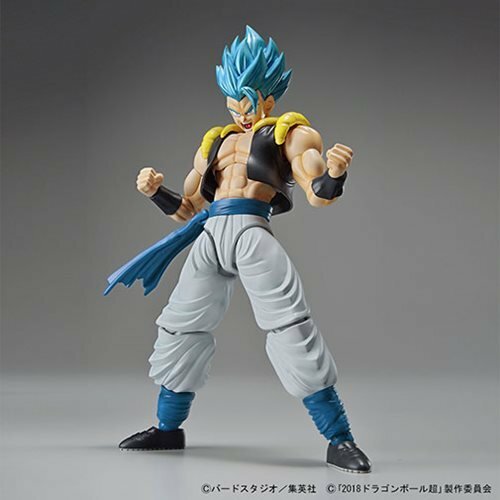 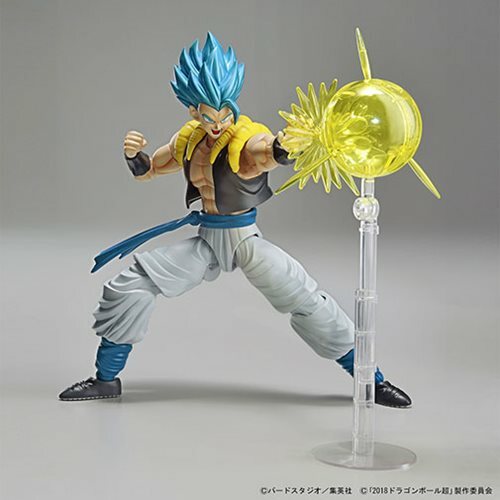 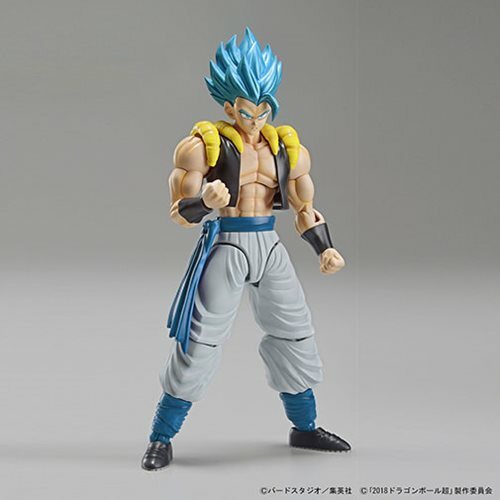 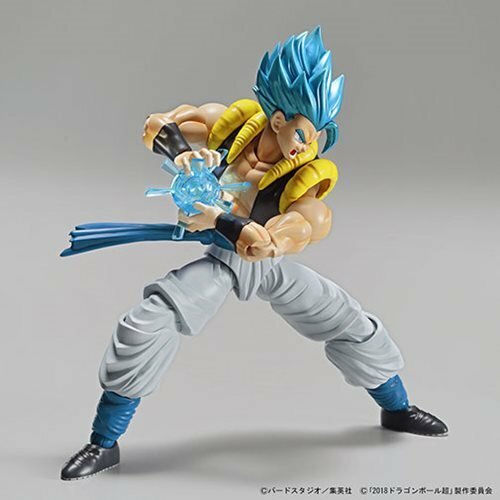 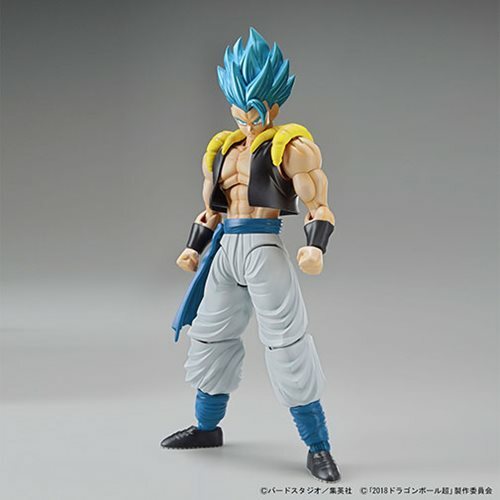 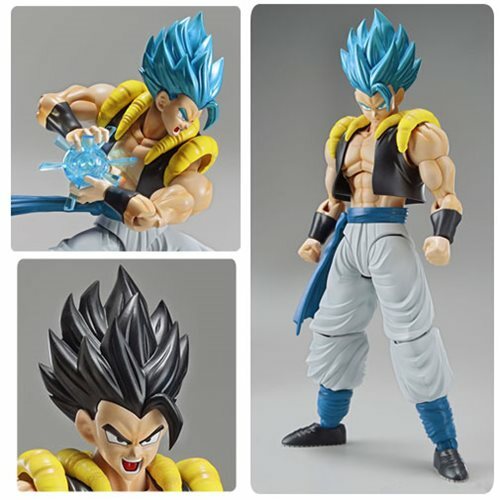 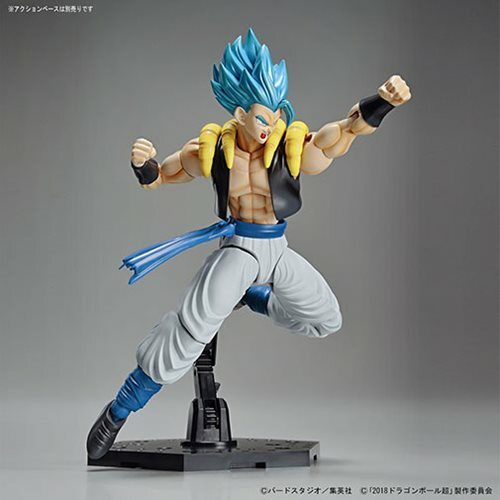 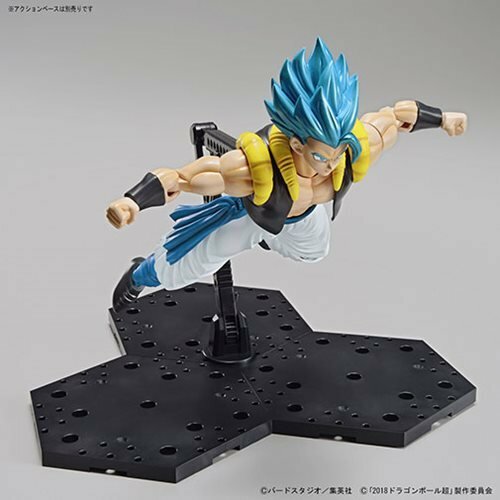 The Dragon Ball Super Super Saiyan God Super Saiyan Gogeta Figure-Rise Standard Model Kit includes 2x facial expressions for SSGSS form as well as a regular black haired form! 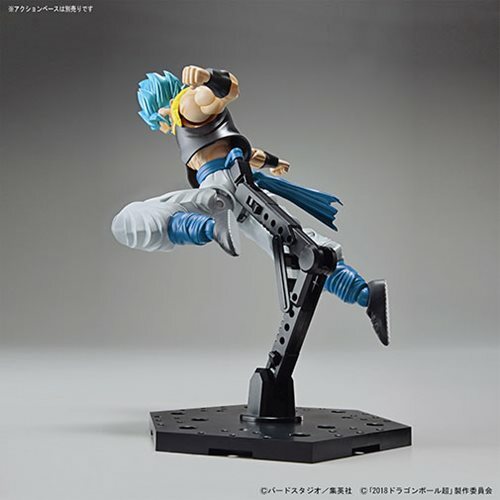 Also included are 15x runner, and an instruction instruction manual.